The Practice of Medicine: From Marcus Welby to ??? In the face of this uncertainty, many physicians are jumping to a conclusion that “I have to sell my practice to the hospital.” In this post of our series on The 100 Year Shift, we will examine physician practice. We’ll show that the economic and clinical environment is changing rapidly and that selling to the hospital is one option. However, it is not the only option. In the Rearview Mirror: Physicians prefer and can function effectively in small/medium size practices. This isn’t your father’s Marcus Welby any more. 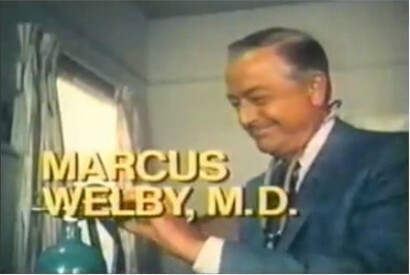 Anyone who recalls the early days of vacuum tube television is familiar with the dramatic series “Marcus Welby M.D.” In episode after episode, there wasn’t any medical problem that couldn’t be helped by the unhurried and individualized attention of this affable primary care provider. While the show was largely fictional , the ideal of one-on-one physician-patient care was clearly at its zenith. So was the prevailing practice of reimbursing physicians using fee for service (FFS). How do our distant memories of Dr. Welby compare with today’s physician practice realities? Surprisingly, the data show that most physicians still find themselves in solo practice or small groups. The latest available data from the American Medical Association (2008) shows that 59% of physicians are practicing in groups of 9 or fewer physicians. This all makes for an uncertain and schizophrenic view of medical practice for physicians. While the vast majority of physicians question the viability of small group practice, that’s exactly where they find themselves today. Out the Windshield: Small/medium physician practices are discovering that selling to a hospital is only one option among many. Why are physicians moving away from smaller practices? Things are obviously changing for physicians. While the funding of doctor-patient encounters with FFS continues to undergird much of health care financing, there is growing physician consensus that FFS is leading to increased volume and cost of health care with little to show in the way of any additional value. As a result, other methods of physician payment are rapidly expanding, including targeted bonuses, value-based purchasing, pay-for-performance, salary arrangements, bundled payments and global reimbursements, including the reemergence of various forms of capitation. No wonder the new network television physician idol, Dr. Gregory House, is so cranky. Dr. House’s media presence likely won’t survive either, so who or what will take his place? Most surveys suggest that the current generation of physicians coming out of residency is more interested in work-life balance than previous generations, and has more of a need for stable incomes to pay off student loans. That usually means taking a staff job…. In addition to a generational shift, there are economic pressures that make it more likely physicians who are more established will sell. Small practices are faced with declining reimbursements as well as the challenge of complying with a growing list of regulatory requirements and installing EMRs. Yet, despite the challenges, a sizable number of physicians are still attracted to small group practice. We speculate that the new generation of physician are also entrepreneurs and are attracted to the professional independence that comes from being their own boss. So how will physicians respond? Physicians understand that there are options other than selling. To the extent that physicians really do want to develop a partnership with a local hospital, they know there are many ways to do so. While exploring the details of these options is beyond the scope today’s writing, the graphic below by attorney Michael Blau depicts a wide range of physician-hospital integration options. There are partners other than the hospital. Let’s more closely consider physicians’ options with other physicians or with health plans. 1) gain greater leverage in their negotiations with insurers and hospitals. Ironically, this size enables them to also work with insurers as equals, which in many circumstances, can lead to real, if uneasy, partnerships. 3) generate sufficient capital and support the administrative support systems to maintain increasingly complex operations. 4) and, we might add, still offer a reasonable work-life balance. For all drivers we mention above, we remind readers that “size isn’t everything” and an affiliation with a hospital isn’t necessary either. Health Plans as an Option. In just the past few years, health plans are becoming increasingly interested in acquiring physician practices, particularly primary care practices. In the last post in this series we will more deeply examine the pros and cons of physician/payer partnerships, but in this post we want to simply document increasing payer interest in physician acquisitions and partnerships. A recent article in The Washington Post is entitled “Managed care enters the exam room as insurers buy doctors groups”. The article lists numerous examples of health plans purchasing physician groups. UnitedHealth services wing is quietly gaining control of doctors who treat patients covered by United plans – buying medical groups and launching physician management companies, for example. Cigna, another large insurer, saves 9 percent on patients treated by doctors in a Phoenix medical group it controls, said Stephanie Gorman, president of Cigna Arizona. Cigna has expanded the group over the past 18 months in response to the health law, and it now serves patients at 32 locations. Other large insurers, including Humana and WellPoint, have announced deals involving doctors in recent months, part of a strategy to curb rising health costs that could cut into profits and to weather changes to their business arising from the federal health law. But United is the biggest insurer by revenue, making the trend much more significant. …four of the five largest health insurers have increased physician holdings in the past year. In addition to the moves by WellPoint and Cigna, Humana acquired the urgent-care chain Concentra in December. Aetna, the third-largest insurer, will not be joining the trend, its chief executive, Mark Bertolini, said in an April interview. One more example: a recent investor presentation shows that Humana has budgeted $2.2 billion for acquisition of primary care physician practices (see slide 30). Interested in more examples of this emerging trend? See the Appendix below. We believe the current dynamic underlying hospital acquisition of physician practices is wide, but not necessarily deep. Independent group practice remains an attractive option for physicians, not only because of the favorable environment that they offer, but because of the likelihood that insurers will finally come to view them as a viable partner in the drive for value. We can bid the happy Dr. Welby adieu and wait for Dr. House to also get cancelled. A new physician model is coming to a town – and an entertainment portal – near you. Can Insurers Cooperate with Doctors to Improve the Quality of Healthcare? This was the 4th in a series on health care market dynamics by Jaan Sidorov MD, MHSA, FACP and Vince Kuraitis, JD, MBA, both prominent health care analysts.